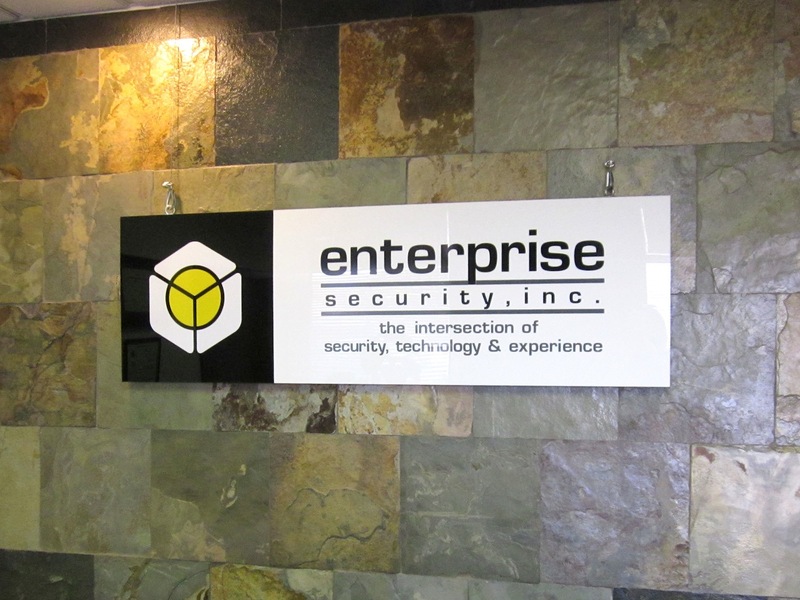 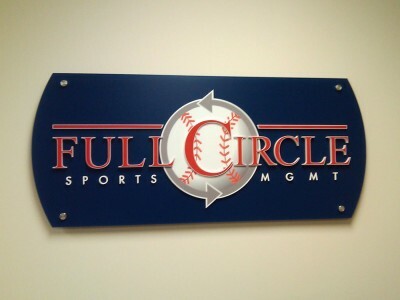 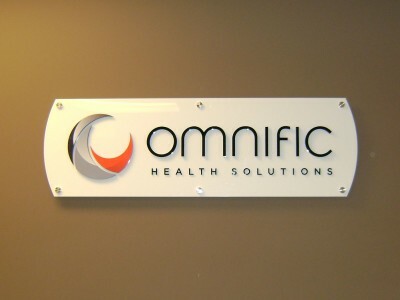 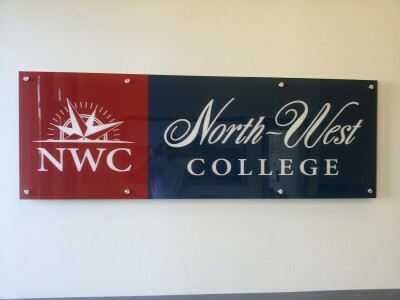 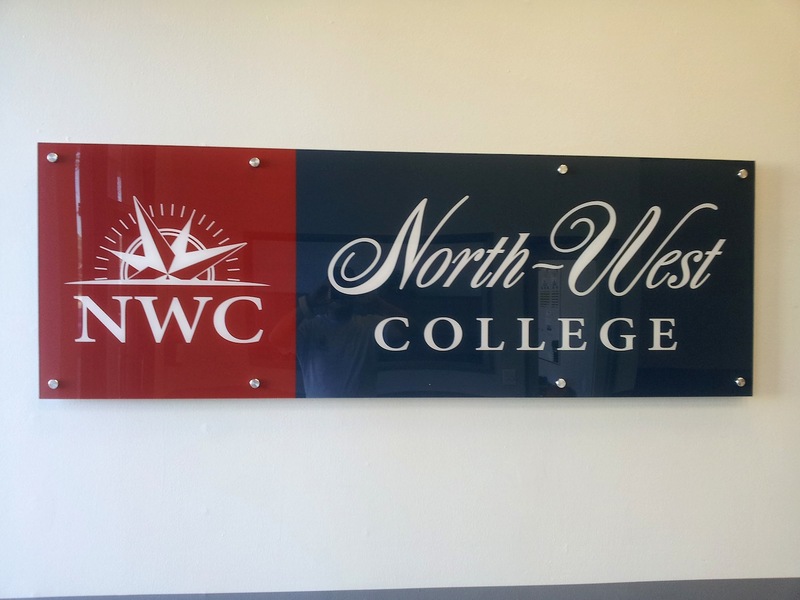 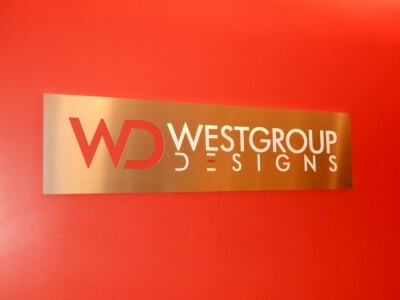 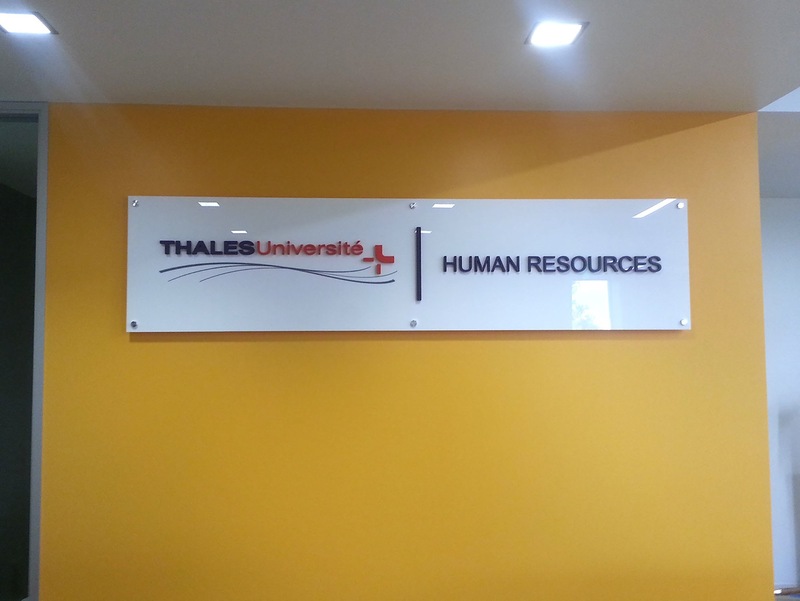 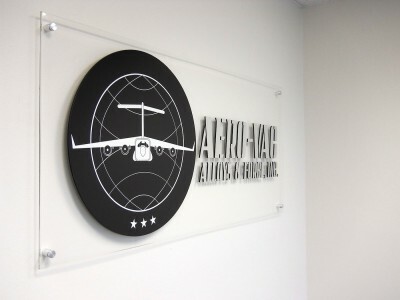 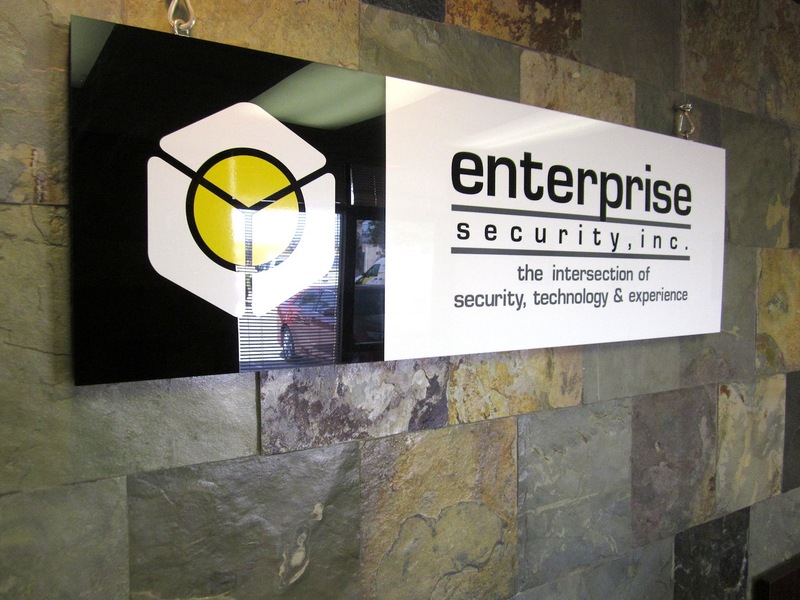 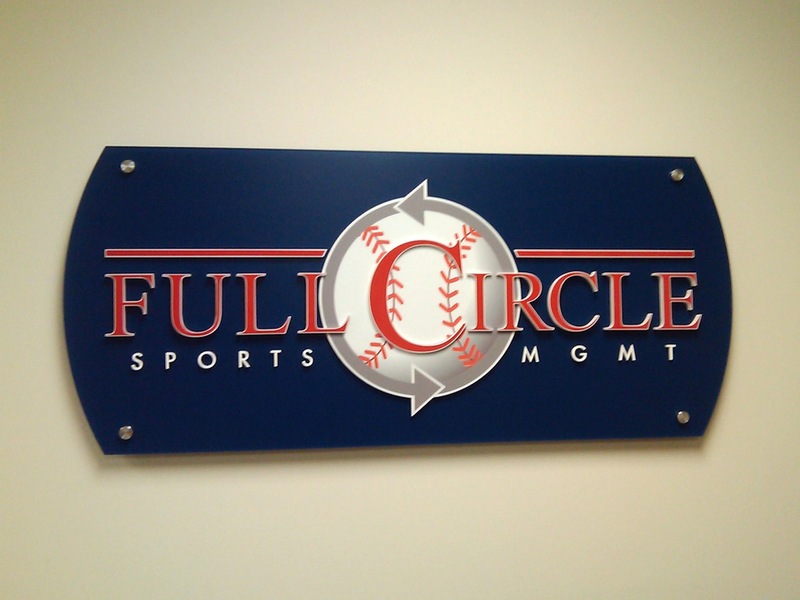 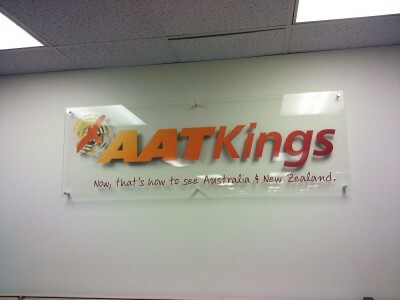 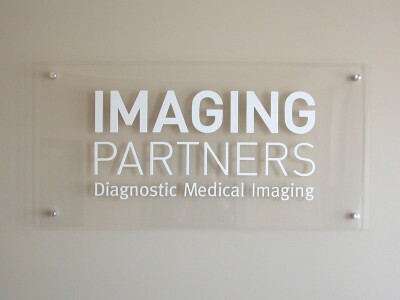 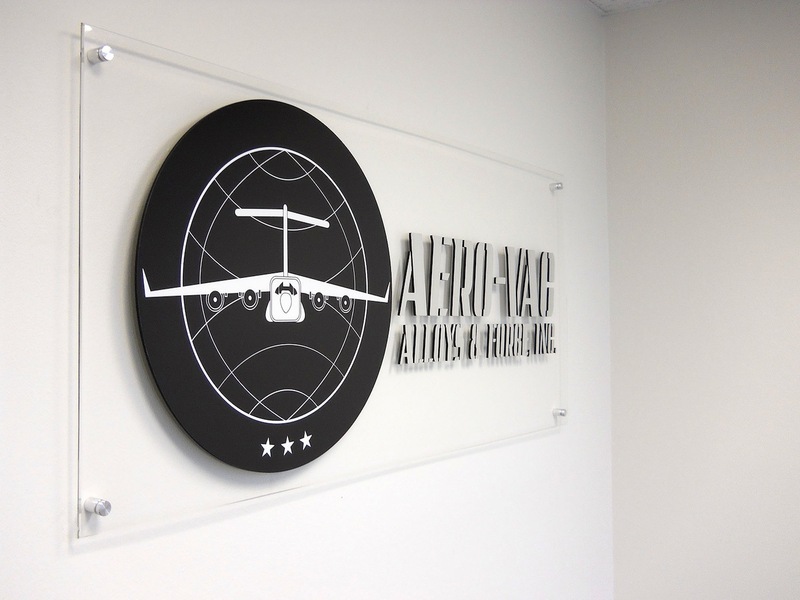 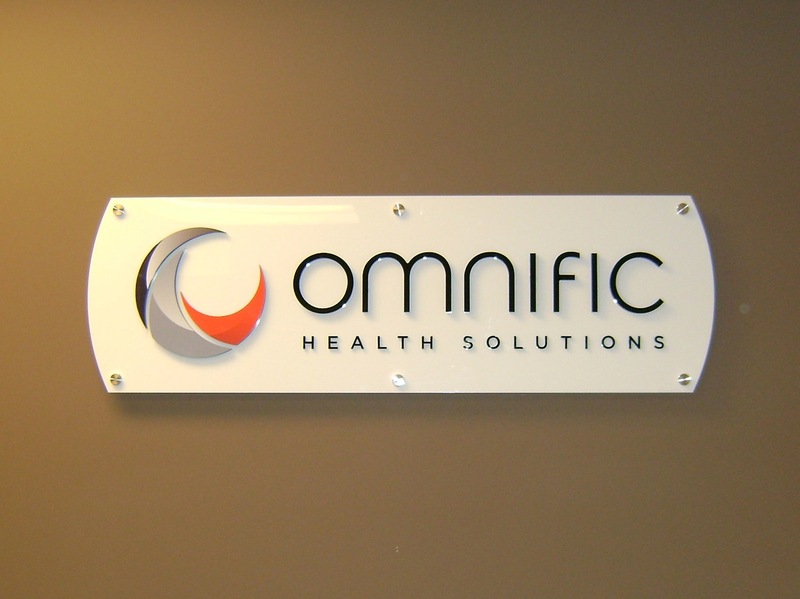 Acrylic logo panels are becoming one of the most popular types of interior signage in use today. 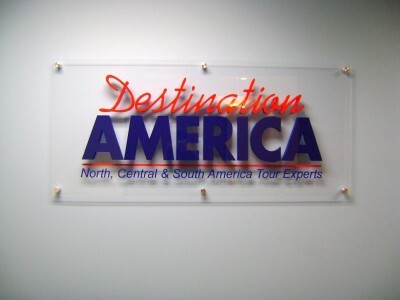 The panel itself is often ¼” thick clear or white acrylic or can be any of the many colors of acrylic available today. 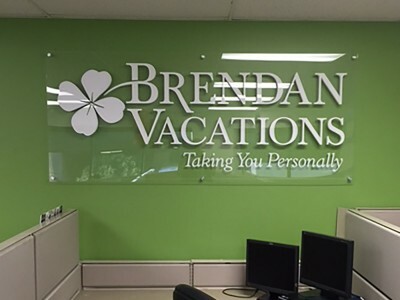 Glass green acrylic, textured acrylic and frosted acrylic are examples of specialty acrylics used to enhance your lobby sign. Decorating this panel with your logo or company name can be done with dimensional letters (acrylic, foam, painted PVC, etc.) or in high performance vinyl or digital graphics. The combinations and permutations are endless. 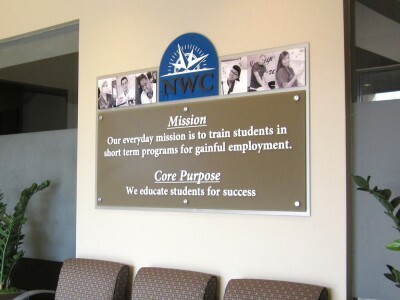 The panel is typically installed using decorative brush aluminum stand-offs that hold the panel away from the wall and casts a shadow affect. This combination of materials makes for a great looking sign. 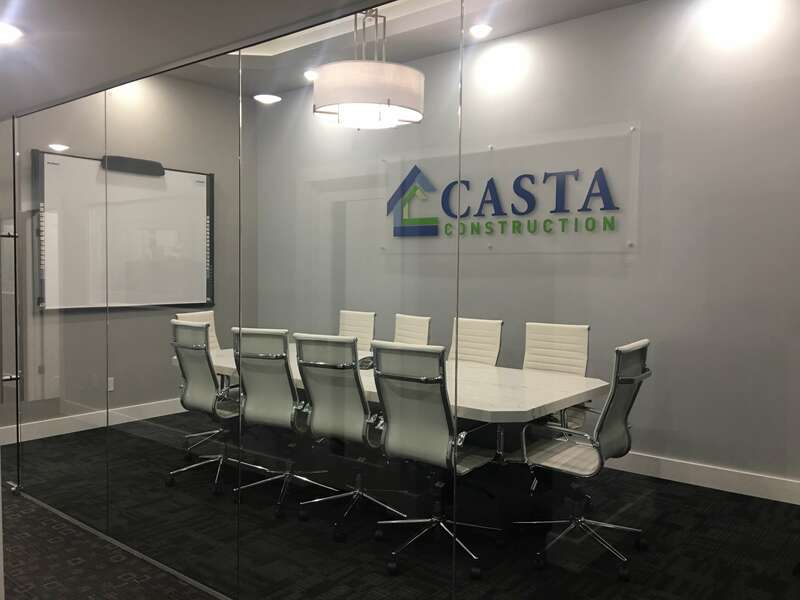 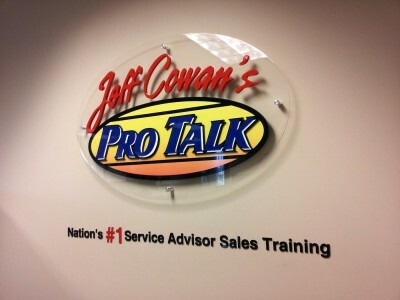 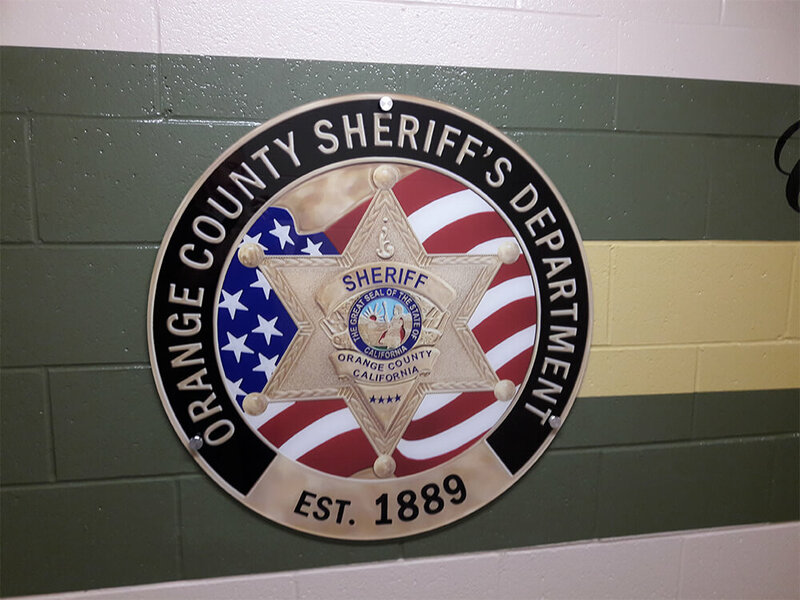 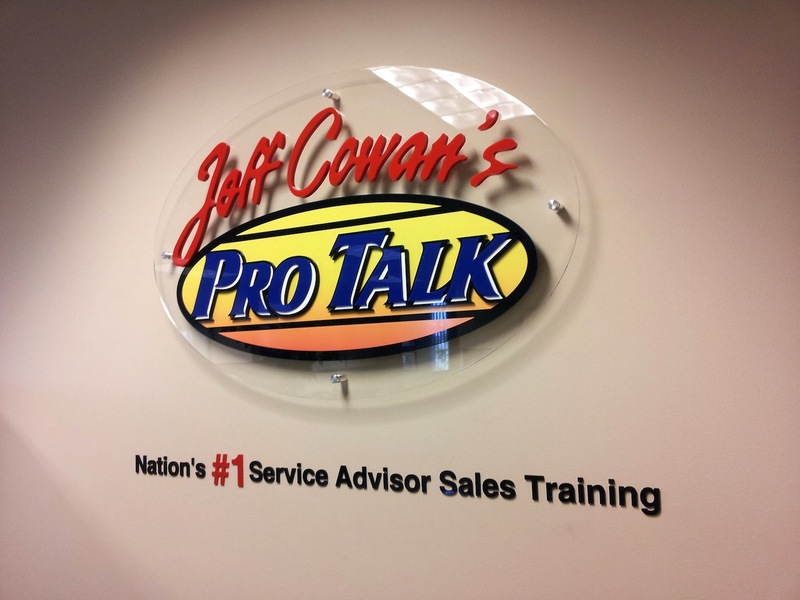 One of the benefits of using an acrylic logo panel is that it is very easy to remove, locate in a different part of your office, or take it with you when you move. 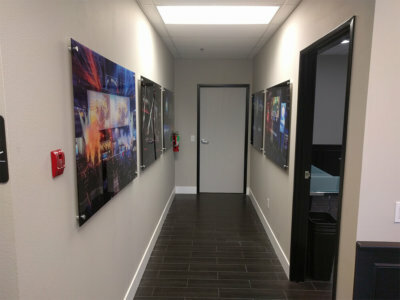 The panel typically only requires four wall penetrations and can be easily removed by hand without need of any tools. 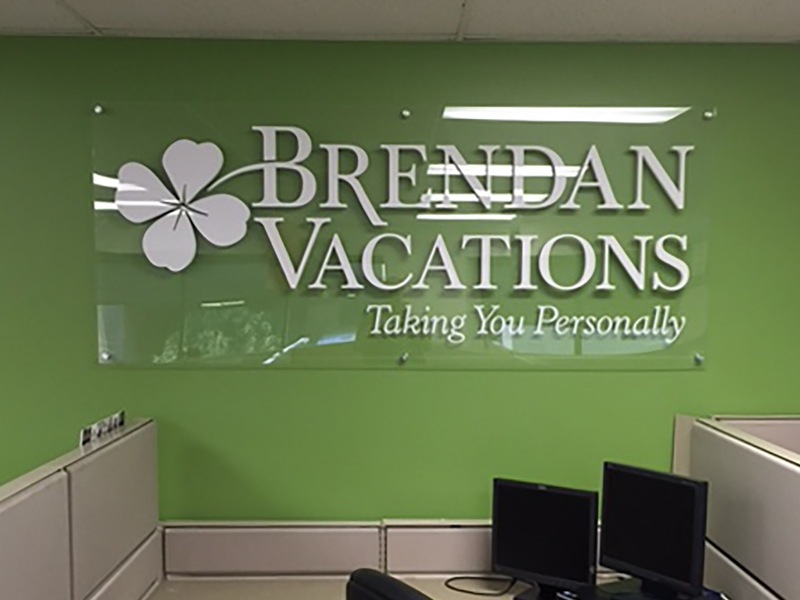 Further, there is minimal wall damage where only the four penetrations are made. 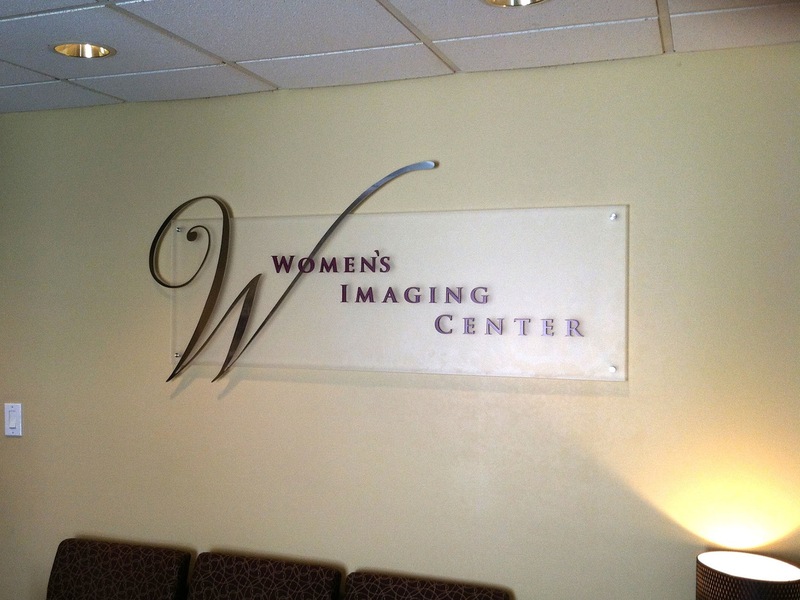 Essentially all the hardware is moveable except for the four wall anchors ($.50 to replace). 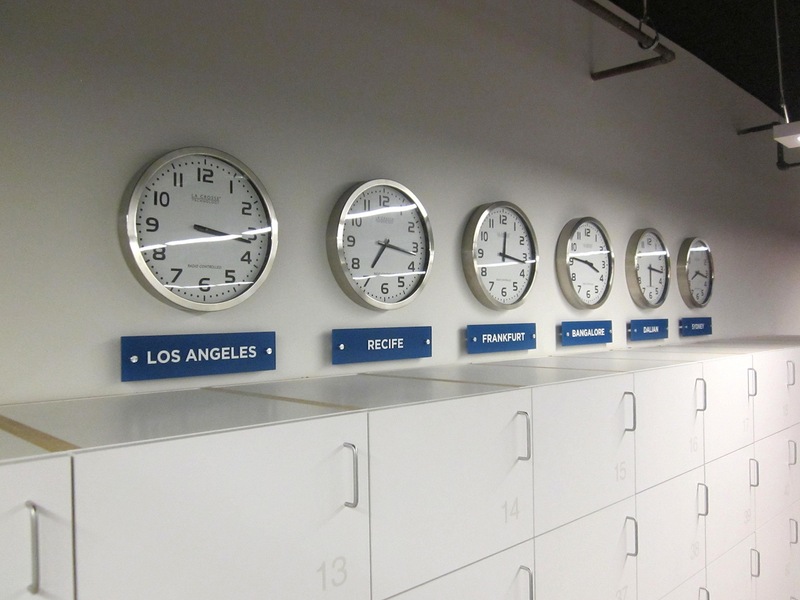 Re-installing is easy, as the panel holes are your guide to placement and leveling. 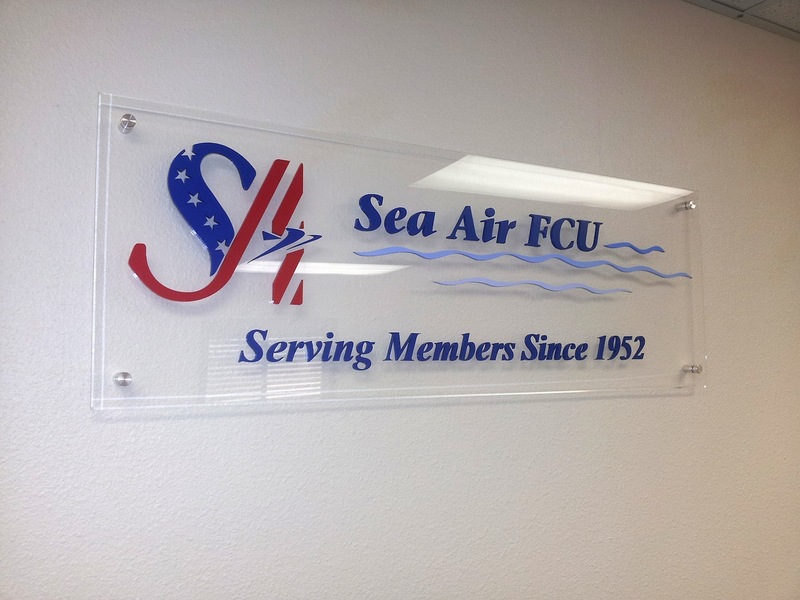 Another impactful byproduct of this type of signage is to route the panel into a shape that works well with whatever logo and graphics you are mounting to the panel. 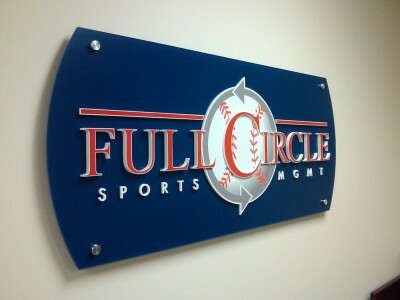 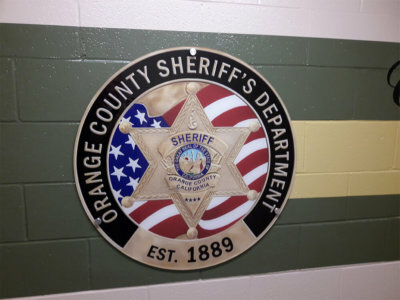 Ovals, circles, radius rectangles or contour cut panels that generally conform to the shape of your logo, look terrific when combined with dimensional lettering and graphics. Another interesting sign technique is to route letters out of an acrylic panel so that the letters are “open” and then add a background panel, so the letters appear “recessed”. 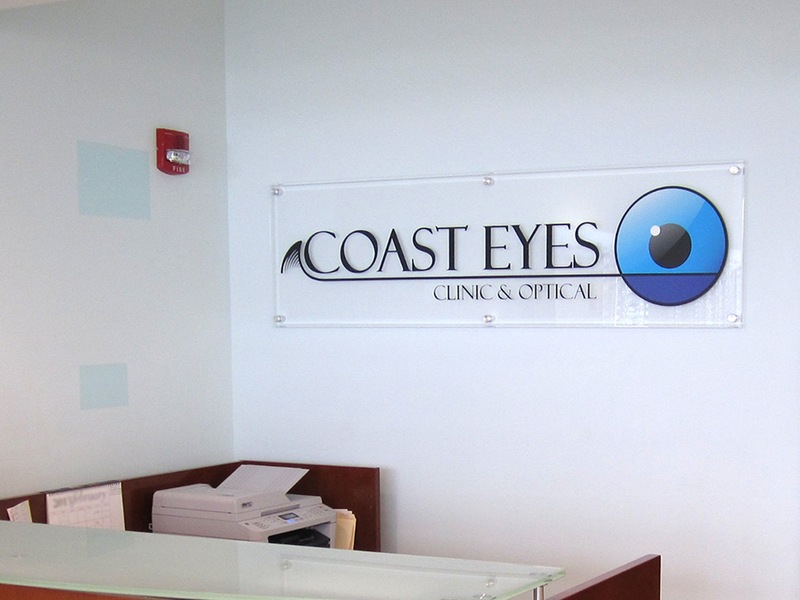 This gives a multi-layered look. 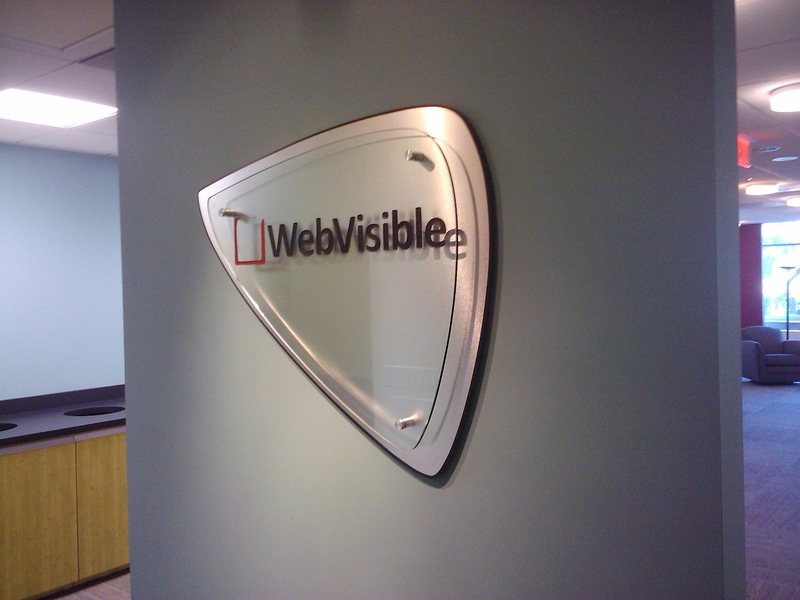 Or, you can do just the opposite, and layer several levels of material onto the sign panel to create a drop shadow, outline or other effect. 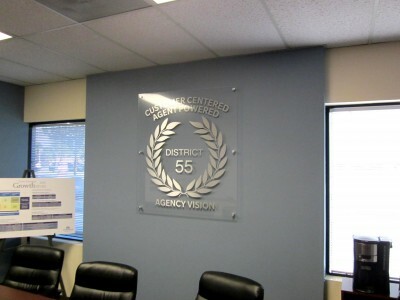 The combination of vinyl lettering, digital graphics, and of course, varying thicknesses of dimensional mediums, can create a spectacular look for your lobby or conference room.